Nominations, and voting are now closed. There can be only one twenty! Yet another year has once again come and gone... actually five now since I started the Most Anticipated of 20xx. To run in conjunction with the 20 Most Anticipated Games of 2014 I started a reprint wishlist competition where you can add all those out-of-print grail games that you wish you could add to this list. Where the 2013 favorites are now. 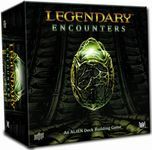 Last year's winner, Lords of Waterdeep: Scoundrels of Skullport is just now gaining traction in the BGG rankings, and the runner-up Kingdom Death: Monster has been delayed and is once more in the voting, along with Race for the Galaxy: Alien Artifacts if it doesn't make it out by the end of the year. I'm sure there are many that would have preferred they were ineligible for this year's competition, because that would mean they would have them in their hands. A number of the "20 most" from last year are climbing steadily up the BGG rankings, namely Bora Bora which is up to 108 as of this writing. Where There Is Discord: War in the South Atlantic is at #64 in the war game rankings, along with The Guns of Gettysburg at #120. There are other notable finalists that were in the running for the top 20 and are rating highly after release. These include Kemet, 1775: Rebellion, Rialto, Viticulture, and Caverna: The Cave Farmers. Kickstarter's influence on anticipated games. Kickstarter was in its infancy when I started the Most Anticipated series, and last year was perhaps the first that had a significant impact on the nominations. This year, Kickstarter's influence is once again undeniable, but expected. After all, who would back a project and not excitedly anticipate its release? 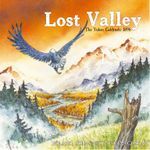 Most of the bigger publishers will still hold their cards close until Essen next year, but there are still a number of great non-Kickstarter titles to look forward to. Without further ado nominations are once again open nominations in this very in-formal and un-official contest to determine the 20 Most Anticipated Games of 2014. As always, if a game you're anticipating the release in 2014 is not on the list feel free to add it. Game designers and publishers are encouraged to nominate their own games by adding them to the list. Don't be humble and wait for someone else to do it. See the notes below for adding games. As in past years, this will be a two-stage process... a nominations phase and a final voting phase. New this year. Adding category nominations. I've updated the scripts that generate the categories. If you think a particular game should be in a category, you can add it in a comment using the category notation below, such as [category]wargame[/category]. If your comment has 5 or more thumbs the category will be added to the nomination. Go for it. If you're a publisher, designer, or designer's mom don't hesitate to campaign for your favorites. Bribing voters is fine too. Pretty much anything goes as long as kittens, puppies and small children aren't injured. We have to draw the line somewhere. To nominate a game add it to this geeklist with one or more categories using the category tags below. Please add a short note stating why it is anticipated that the game will ship in 2014. Feel free to suggest new categories. 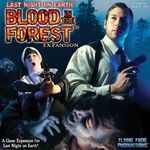 Nominations may not have a BGG entry yet, or you may want to change the nomination name to indicate a specific edition. To second a nomination thumb its entry. The top 50 nominations will be entered into the final vote for the top 20. Categories will be changed based on the nominations, but tentatively these are the categories I expect us to have. Feel free to nominate a game for multiple categories. Some of the categories may be combined or eliminated if there aren't enough nominations in the category. Any newly available game or expansion is eligible if it is reasonably expected to ship in 2014. I know, "reasonably" is a fuzzy word... cest la vie. At the conclusion of nominations I will create a poll with the top 50 nominations. Reprints of already released games are not eligible, but new editions are. As with many things in the gaming industry this isn't a crisp line as to how many changes are necessary to distinguish a reprint from a new edition, but several factors to consider are artwork and components. When nominating a new edition, mention why you think this one is different from the previous edition (not necessarily in detail, something as short as "new components" is sufficient). I would prefer to include games that have been generally unavailable for several years and are receiving a reprint. Again, this is a bit of a fuzzy area, but as an example, if Warhammer Quest or Hero Quest were to be reprinted without changes they would be eligible. 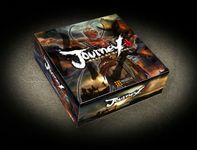 It is not uncommon for a game printing to have multiple release editions for the EU and US markets (such as Mayfair/Lookout Games and JKLM/Z-Man). Many games are released and available at Essen and then (sometimes much later) released in the US with great anticipation. 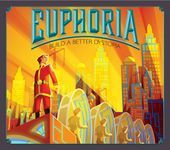 For many, I think the "buzz" surrounding an Essen release combined with the general unavailability heightens the anticipation. I would prefer to include these releases and let the voting determine how anticipant people are. I would also prefer to include games that had a limited initial release and are preparing for a full re-release. Again, this will be a grey area, but one example I would point to is the approach that Treefrog, Winsome, GMT and other publishers take with typically small pre-order releases that sell out quickly and receive a reprint if they perceive that the game was well received. What is a small or limited release? 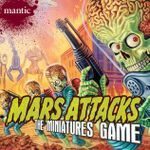 Again, another gray area that we'll have to deal with as it comes up, as I'm sure a small release for Hasbro is quite different for a small release from most publishers here on BoardGameGeek. This would also include games that might have had reviewer copies released, but are not yet generally available for purchase. 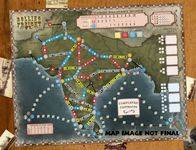 If the particular game is part of a series (such as the Call of Cthulhu: The Card Game) I may combine multiple nominations into one entry for final voting if it appears as if the series is anticipated rather than a specific release in the series (this was done for the Dominion expansions in 2010). Also, if there isn't any justification for why a particular game is anticipated to ship in 2014 I may remove it from final voting. The only reason I state this is to separate anticipated 2014 releases from wishlist items. Yes, it would be nice if Hasbro/Avalon Hill reprinted Star Wars: The Queen's Gambit but at this point I don't believe there is any reason to anticipate a 2014 release. However, in this respect I would prefer to be inclusive rather than exclusive. Anything else??? We'll wing it... After all, this is just for fun. Large 54mm minis, beautiful artwork and a great mythological theme... and most importantly my wife is excited about this. 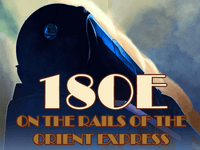 With Flying Frog and HeroQuest in the weird west it's hard not to be excited about this. Last Night on Earth is still a favorite of our group's, although Zombicide has been seeing a lot of table time too. I don't have any of Mantic's other games, although they've always been tempting. I couldn't resist backing this one on Kickstarter. I'm always leery of licensed properties, and hopefully the game plays as well as the artwork looks. My only One regret is that this isn't coming out before Christmas this year. A second regret is that it doesn't have Krampus. He would have been perfect for a dungeon crawl. Now that it's funded, anticipation should be high for the 6K+ backers. As always, the Descent expansions are great for mixing up the game. The rumors are that this will be seeing a reprint in 2014. A number of unknowns include delivery timeframe, extent of changes, and distribution. Current rumor is based on a Spanish licensee, and it is unknown whether Hasbro will assist or hinder attempts to get this great game reprinted. The Kickstarter is live, but I have to say my anticipation level has taken a major hit since the launch. And now it looks like the Kickstarter is suspended due to trademark issues. The Kickstarter campaign was cancelled due to IP issues, and per Gamezone's statement, if the Kickstarter is cancelled they will not be able to release their version of Heroquest in 2014. After two previous failed fundraising campaigns Gamezone is back with a third try, projecting December 2014. While I still think this looks shady, I'm not going to disqualify it. Instead, I'll leave the fate of Gamezone's Heroquest Tribute in the hands of the voters. Returning for a second year... and already reported by the designer as having no chance for 2013. Rumor has it that it will be out this month. Rumor also has it that it has no chance for release this year. Only time will tell whether this remains eligible for voting yet another year. One of my personal top 10 most anticipated. Since his days with old-school Eagle Games I've generally enjoyed almost everything Sean Brown has had a hand in, and I'm glad to see him striking out on his own with Mr. B Games. From their initial titles I think there's a lot of reason to get excited about their releases. Cthulhu, Sandy Petersen... 'nuff said. Yet another Mr. B Games introductory title that looks fantastic and original. This didn't generate as much buzz on Kickstarter as I expected for a Richard Launius design. I love the theme and look forward to it and the True Grit expansion. 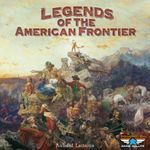 A great looking reprint of the Avalon Hill classic. With great titles like A Brief History of the World, History of the World, Fire & Axe: A Viking Saga, and Canal Mania, among others, I expect great things from this upcoming Ragnar Brothers title. 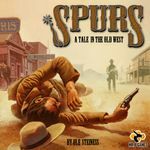 An exciting second title from Stonemaier Games. Their first title, Viticulture, was a top performer in the Most Anticipated of 2013 and is already quickly rising up the BGG ranks. Although expected to release this year, it looks like delays in sculpting the miniatures has pushed it into 2014. It's great to see this getting a reprint with full-color art and miniatures. Yet another exciting title from Pandasaurus Games. Their first two titles, Tammany Hall and The Great Fire of London 1666 were a little late but the production values were absolutely outstanding. I expect this third title will similarly be fantastic. Perhaps one of the biggest Kickstarter debacles of 2013 as the project creator has yet to account for over $120k of funds and produced nothing. 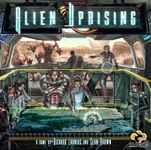 However, in an odd turn of events, Cryptozoic Entertainment acquired the license from game creators Keith Baker and Lee Moyer and plan to release the game in 2014, providing the Kickstarter backers with free copies.